Lots of ample space with over sixteen hundred square feet. Fireplace in roomy living room with walk out back patio and private storage. Plenty of natural light pours into the kitchen sink and in the dining room. Wood-plank flooring in the main living space. * Pricing and availability are subject to change. 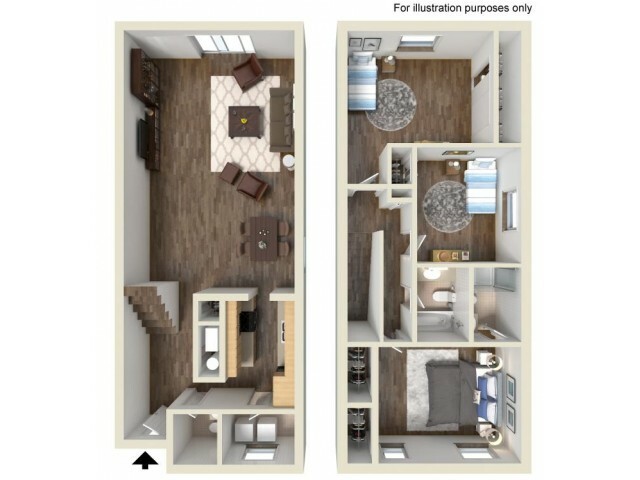 Call the office for additional lease term options ** SQFT listed is an approximate value for each floor plan *** Floorplan prices do not reflect water, sewage, and trash monthly charges or short term lease fees.